Intermarriage has been a subject of study in the social sciences for more than a century. Conventional wisdom (and some scattered research) holds that intermarriage is important to the social integration of immigrants and minority peoples in majority cultures and economies, but we still have a great deal to learn about dynamics of intermarriage and integration. Which groups are more likely to intermarry? Does crossing racial, ethno-cultural, national, religious or class boundaries at the intimate level lead to greater integration of individuals and groups that have not been considered part of the societal mainstream? This special issue of The ANNALS investigates the intermarriage/integration nexus. The research within shows the extent to which intermarriage is related to pluralism, cultural diversity, and social inclusion/exclusion in the twenty-first century; we also evaluate the impact that mixed marriages, families, and individuals have on shaping and transforming modern societies. We identify patterns and outcomes of intermarriage in both North America and Europe, detecting boundaries between native majorities and ethnic minorities. Obviously, intermarriage and mixedness are often deeply entwined with immigration, so we also scrutinize the relationship between intermarriage and various aspects of immigrant integration, whether legal, political, economic, social, or cultural. Does intermarriage, in fact, contribute to immigrant incorporation? How and to what degree? Findings – whether quantitative, qualitative, or both – are presented in this volume for a wide variety of national contexts: Canada, the United States, Britain, France, the Netherlands, Spain, Germany, Switzerland, and Sweden. Race and religion remain significant barriers to societal integration, and deep social cleavages exist even in countries with higher rates of intermarriage. Race is a significant barrier in the United States, and religion – Islam in particular – is a prominent barrier in Western Europe, where even “looking Muslim” is automatically a low-status attribute, making some basic social integration, from housing to employment, automatically more difficult. White immigrants have an easier time with various forms of integration (e.g. educational attainment, housing, and labor), but the opposite is true for black immigrants, who are less likely to marry black natives or out-marry with other groups. Asian Americans have become the most “marriageable” ethnoracial minority in America. Boundaries to integration in the U.S. for Asians have not disappeared, but the rising multiracial Asian population faces fewer social hurdles. This is particularly true for Asian women, who are seen as more desirable than Asian men, likely because of persistent ethnic stereotypes. The earnings gap between immigrants who marry natives and those who marry other immigrants has increased over time in the U.S. In the U.S. and France, immigrants with high levels of education are more likely to marry natural born citizens. British multiracial people with part white ancestry and their children do not necessarily integrate into the white mainstream. EU citizens generally have a strong identification with Europe – they tend to feel “European” and take pride in being so; this is particularly true of those with a partner from a different EU27 country. The key to integration can lie in children who are products of mixed unions and the role that these families have in shaping societies where plural identities are normalized. In Quebec, for example, parents in mixed unions tend to make decisions that transmit identity, values, and culture to their children in ways that contribute to the “unique social pluralism” of the Quebecois. Immigrants in Canada with Canadian-born partners have similar levels of political engagement as the third-plus generation with Canadian-born partners; however, immigrants with foreign-born partners have lower political participation. The regulation of mixed marriages in the Netherlands has historically been gendered, to the detriment of Dutch women. The link between intermarriage and immigrant integration in Spain is complex and varied: outcomes for some aspects of integration may show a direct connection, while other results indicate either no relationship or a bidirectional association; further, the outcomes may be moderated by factors such as country of origin, gender, or length of residence. The social, cultural, and achievement outcomes for children of mixed marriages in England, Germany, the Netherlands, and Sweden are always in between the outcomes for immigrant children and native children, suggesting that mechanisms of both integration and stigmatization, among other possibilities, play a role. 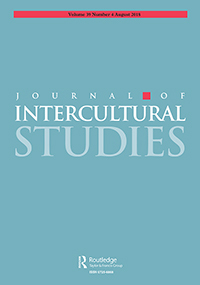 Together, these studies suggest a more complex picture of the nexus between intermarriage and integration than has traditionally been theorized, composing a portrait of what some scholars are calling “mixedness” – an encompassing concept that refers to intermarriage and mixed families, and the sociocultural processes attendant to them, in the modern world. We find that mixedness can be socially transformative, but also that it illuminates the disheartening persistence of ethnic and cultural divides that hinder inclusion and social cohesion.